The kids and I made it through our volunteer event last week - cooking for 45 people! Fortunately we had 2 helpers (including my son) which made a huge difference and kept my stress levels just under the highly dangerous zone! We got rave reviews, and all I can say is I'm glad it's over and I can concentrate on drawing. This weekend I finally got around to drawing out a pattern inspired by what looks like a wood carving (though it looks to perfect to be hand-carved). 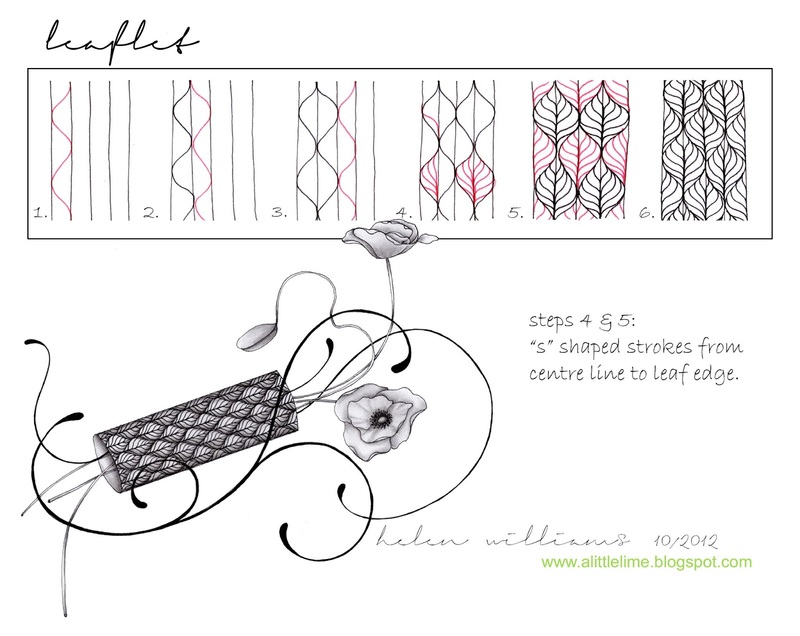 I've had it pinterest board for a while - the actual pin is a dead link, but you can see the image from my board here - I love it, such beautiful flow from one section to the next - I couldn't get quite that look, maybe with more practice :) I have dubbed the pattern "leaflet". More poppies! Leaflet pattern on the tube. Love how shading really brings this pattern to life. 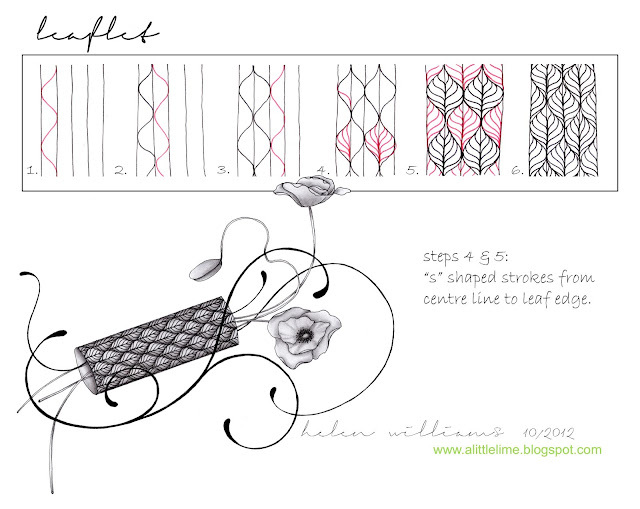 The pattern step out: I found it a really forgiving pattern - it didn't matter if my curves lined up exactly at the start, or if some of my s strokes were a bit off (my concentration has a tendency to wander!) Click the image for larger view. 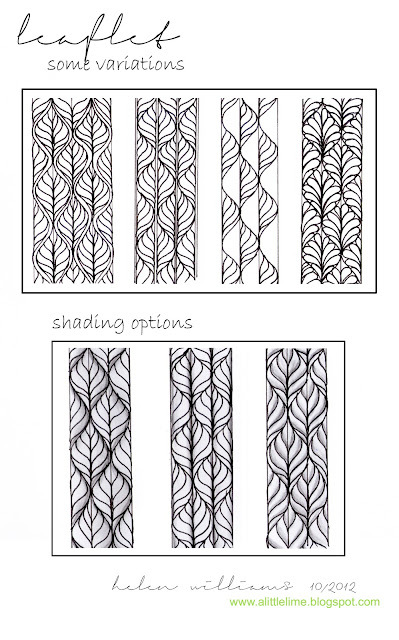 Some easy variations such as a double curved or centre lines, leaving one side pattern free, comma shaped fill. Lots of shading options, also. These are just a couple of ideas. I am a poppy fan too. Your leaf pattern is wonderful. thank you!!! Gorgeous,gorgeous,gorgeous, I love this pattern. Can't wait to use it. Thank you. This is beautiful. Thanks for posting the instructions....I can't wait to give it a shot. This is really great. Isn't interesting how something so simple can result in such an interesting pattern. Wonderful. How do you draw the poppies though? Thanks! The poppies I just draw freehand :) I should try and make up a poppy pattern sometime, though, as I love them! Love your leftlet design! I'm going to have to try quilting that! This is wonderful. I love the variations too. Can't wait to play with it. I do do do like your tangle pattern!! I love to use leaves and flowers so Im sure I will use it soon. AND I just discover you are an Orstilyun!! I want to be an artist like you when I grow up and I'm 59!! LOL You are so talented. I am so glad I STUMBLED ONTO YOUR WEBSITE. I know you said you wanted to get away from the flowers - DON'T!!! They are exquisite. 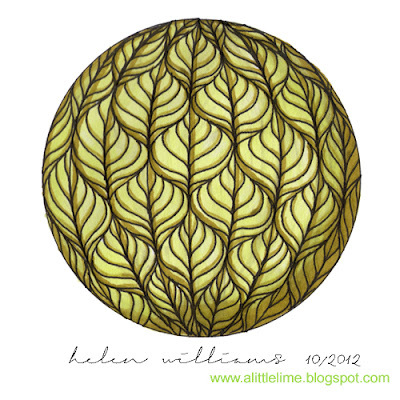 Helen your drawings are so exquisite! I love looking at your site, gives me such inspiration. 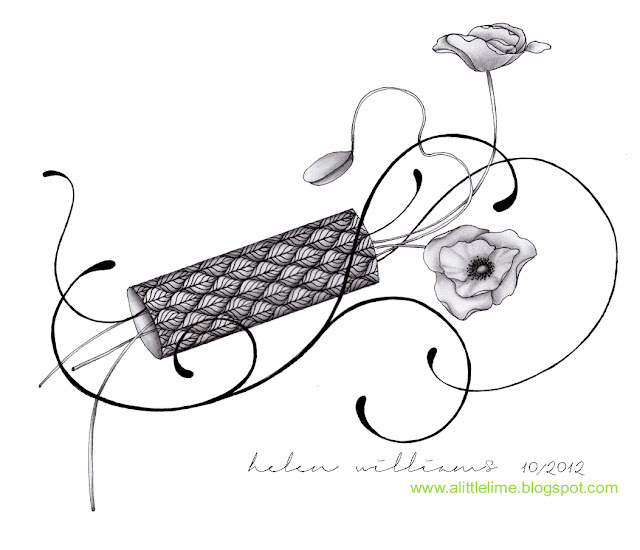 Beautiful pattern, and your poppies drawing is gorgeous. Thank you so much. I am totally loving the leaflet. Sometimes simple is the best way to go. Thank you for posting. Love it! I can't wait to try it! It is awesome how simple it is but looks like so much more! this is noncriminal, i love it!! You are very talented, Helen. Such beautiful artwork. It makes me think I could do something almost as beautiful,too. I'll be back another day to soak it all in again. Leaflet is stunning and way too much fun. Thanks for it. I looked up where Yarra Valley is and saw images of wine country. Looks like Eden. Your generosity is much appreciated. Love this one and Heartstrings! Thank you so much , Helen, for this wonderful Tangle pattern. Really appreciate your generosity in taking the trouble to put out these patterns for people like me to learn from. Stay blessed.